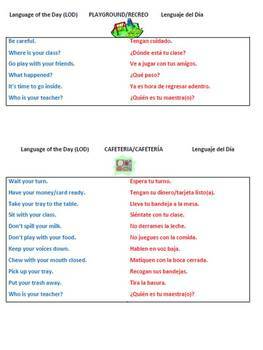 Language of the Day posters for the classroom, hallways, playground, cafeteria, etc. 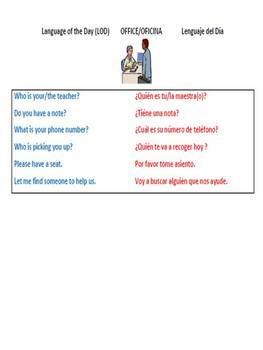 I created these posters to be printed on our Poster Maker when our school became a Dual Language campus. They work very nicely as is, but you will have to make adjustments when enlarging the size. 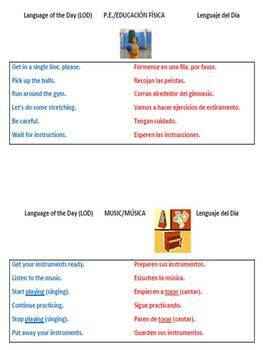 These are 8 1/2 X 11 pages, but they can be enlarged for larger posters. They took me hours to create, so I hope that they save you some time as you make them your own!